5-7 min or less into flight I am losing gps, I take off with 15-20 satellites last caked and I lose gps with 18-20 locked satellites. It goes into Atti mode and yellow warning says GPS failure contact DJI. I am not getting any message to update firmware. No message to calibrate compass or IMU. Hello and good day MurrayL. I am sorry to know that you are having this issue on your DJI Phantom 4 Pro. Kindly please update the firmware of your drone to it&apos;s latest version for us to isolate the issue. 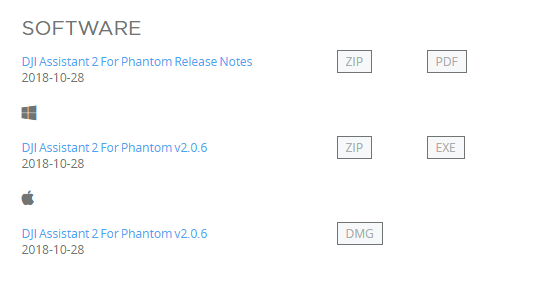 I will be posting a link where in you can find the most recent firmware for the DJI Phantom 4 Pro. In addition please try to fly your drone on a different location to check if the issue will still persist. Please give us an update for us to help you further. Thank you. Hi Stephen, I should have mentioned I just got this drone back from DJI would they have updated to the latest firmware? I got it back Wednesday Feb 6, my first flight was this weekend and it had this GPS issue immediately. Thank you for the reply and for the additional information you have given. Can you please try to refresh the firmware of the DJI Phantom 4 Pro and try to fly the drone to a different location for us to be able to isolate the issue. May I also please know what is the model of the mobile device that you are using please? Thank you. Stephen I tried downloading the DJI2 assistant to my iPad but nothing happened just a bunch of Binary. Is there a way to updat the firmware through DJI go 4. Or do I need. 2020 MacBook , or 2020 windows operating system. Do I connect the drone directly to my iPad or through the controller. Stephen firmware up to date. I flew in a different location, was able to fly longer but lost gps did come back had to fly back in Atti. Stephen Firmware is up to date to latest firmware. iPad model MP2H2CL/A1822 I flew in a different area and switched to my blackberry Priv this flight. I went further burst still lost gps. You should send it back and have that fixed before you lose it. Evidently, when they fixed whatever, something else messed up. Thank you for the information given MurrayL. Since the firmware of the drone is up to date and tried multiple troubleshooting steps the next best thing to do is contact DJI Support at https://www.dji.com/support to open a ticket for your DJI Phantom 4 Pro. Thank you. If it was me, I&apos;d move to a nice wide open field away from everything and give it a low level test flight because it sounds to me like there&apos;s a real possibility that you earlier launched near some ferrous metal which influenced the compass which would create havoc with the satellite fix. Thanks Mark, that’s sounds like a great idea what height do you consider low flight. Also I flew multiple flights from the location and it always gave me a strong satellite and good to launch message. I really think there is an issue with this refurbished drone they sent me. Do you think Cold temps would throw the gps off like this? To me I don’t see why Gps wouldn’t work in sub zero temps commercial jets have been using them for years. Despite what Mark says, that is a message that NEVER comes up for a compass/magnetic interference issue. If you have a yellow warning says GPS failure contact DJI. You have a real problem with the GPS that needs attention. Hello and good day MurrayL. 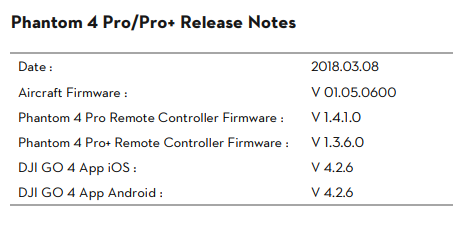 Thank you for the inquiry I will be providing your the most recent firmware versions for both the DJI Phantom 4 Pro and it&apos;s remote controller as well. Thank you. I turn on the drone, the remote control and the tablet, everything goes well, except that the drone finds no GPS, so the tablet tells me "take off impossible." Just before, I made an update of the tablet and knowing that I had to change drone following a fall. I paired the drone and the remote together. Stephen I refreshed the Firmware, flew it in a different location all together. Worked for 5 mins thought it was good. Made a second flight and it lost gps again. Refresh downgrading and refreshing to latest version did not fix this problem. There must be something wrong with the gps in this unit. If you have any other suggestions for me to try I will try them. If you have any other suggestions for me to try I will try them. You are wasting your time refeshing firmware or listening to people that haven&apos;t a clue. The error message already told you what you need to do. You should start your own thread about your problem rather than adding to someone else&apos;s.